Description: Celebrate the Christmas season with Mickey Mouse! 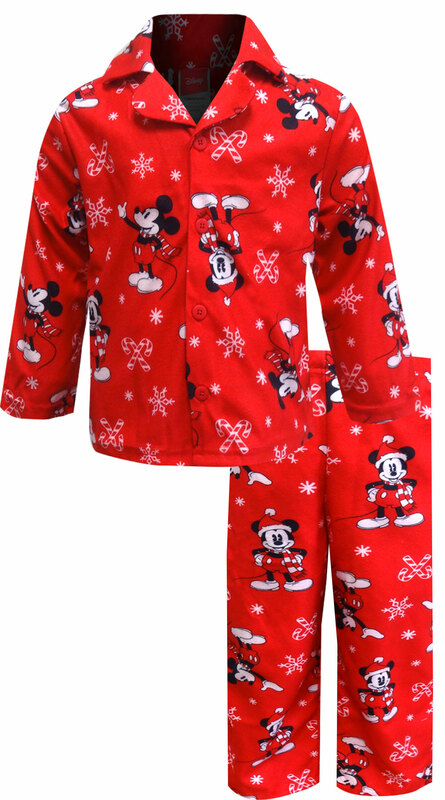 This 100% polyester flannel pajama set is made for toddler boys and girls. 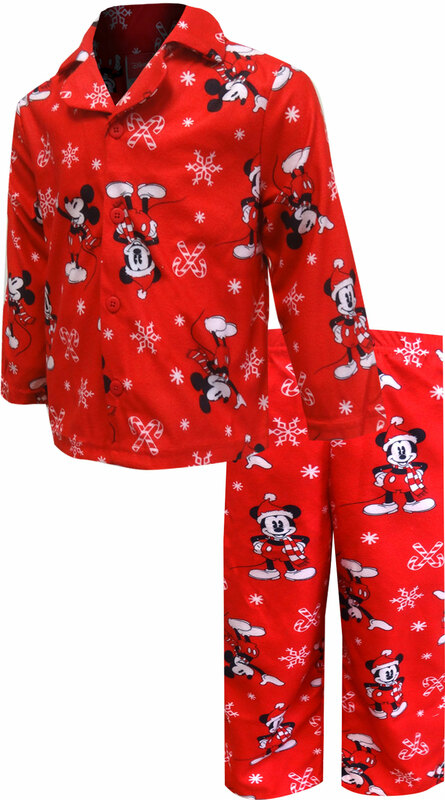 It features an all-over print of Mickey Mouse with a Santa hat, alongside candy canes and snow flakes. This is colorful and fun. Made of flame resistant polyester to comply with safety standards.